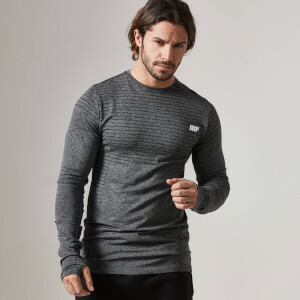 Designed to drive your workout, our Performance Long-Sleeve Top is crafted from lightweight stretch material to deliver maximum range of movement with breathable comfort. 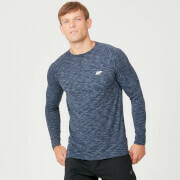 Featuring a ribbed crew neckline, raglan sleeves, marl dye, and finished with statement branding – bring style to any activity. 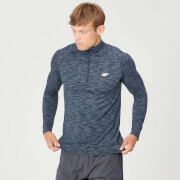 I have purchased several of the long sleeve performance tops and found them to be hit and miss on the quality side. The top fits well, looks good, true to size and a performs well during a workout. Unfortunately, I have 2 out of 4 tops where the in-seem around the collar has not been stitched correctly so causes some discomfort when wearing. Overall, a decent product but doesn't always live up to the quality you'd expect. 5 stars all the way!! I've bought a few of these training tops now over the last few months. I have to say the quality of the product is excellent. Very comfortable, fits really well and washes up as good as new after each wash. And the price is pretty amazing for a great quality product.